The latest marijuana jokes by President Rodrigo Duterte has earned the attention of his staunchest critics, from the country's opposition politicians, and even the New York-based Human Rights Watch (HRW) who were at feast on the issue, denouncing Duterte's remarks that he was using a marijuana to keep himself awake. Professor from the University of the Philippines (UP) and a medical practitioner Francisco Pascual Tranquilino, did not mince his words in his striking statement against the HRW and its Asia Director Brad Adam, who quickly calls out Duterte's 'murderous hypocrisy' on his recent remarks claiming that it was an insult to the alleged victims of the administration's anti-illegal drug drive. Tranquilino, a known supporter and stalwart defender of Duterte has laid out facts to support his claim how unreliable, inaccurate and biased this HRW against Duterte as they continue to criticize the government's anti-illegal drug campaign. "Before Mr. Adams continue to criticize and demonize our President, let us first look at the track record and reliability of Human Rights Watch itself, then we’ll know who the real hypocrites are," he wrote in his published Facebook post. "And so it is hypocritical for someone like Adams to be commenting on our President’s joke," he added. Meanwhile, Adam said that the statement of Duterte about marijuana use is not a laughing subject. 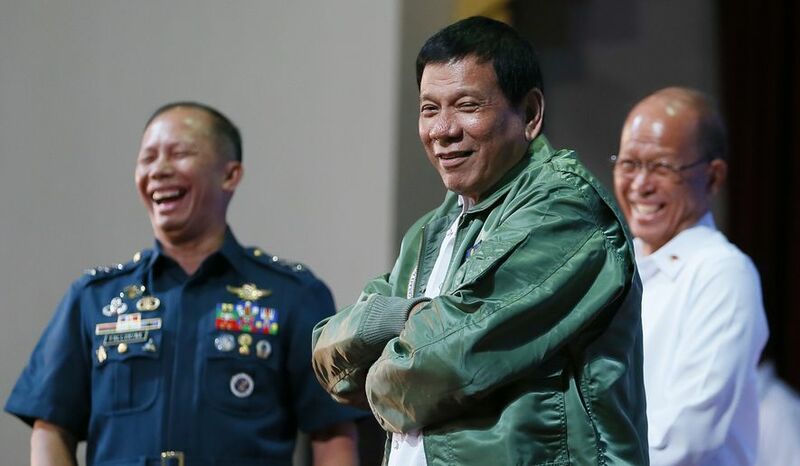 "Dutert's adopted joke is not fun,"
"Marijuana is illegal in the Philippines, and Dutert's opposition to using it – whether it's joking or not – undermines the motivation of his" drug war "and exposes his murderous hypocrisy. It puts cruel insults on injuries to the victims and their families," he added. Well, before Mr. Adams continue to criticize and demonize our President, let us first look at the track record and reliability of Human Rights Watch itself, then we’ll know who the real hypocrites are. Below is my critique on the HRW Report on Duterte’s War on Drugs which I wrote more than a year ago but it will clearly demonstrate how questionable and unreliable this group really is. And so it is hypocritical for someone like Adams to be commenting on our President’s joke. "I must do something that I never anticipated: I must publicly join the group’s (HRW’s) critics." This was the statement of Robert L. Bernstein, the founder of Human Rights Watch, its Active Chairman for 29 years and now a Founding Chairman Emeritus, in his article in The New York Times in October 2009. Bernstein stated Human Rights Watch had as its original mission to pry open closed societies, advocate basic freedoms and support dissenters. But recently it has been issuing reports on the Israeli-Arab conflict that are helping those who wish to turn Israel into a pariah state. And now, 8 years later, HRW continue to issue reports such as the one on Duterte's War on Drugs that aims to demonize the President, undermine the government efforts to solve the country's widespread drug problem and turn the Philippines into a Narco State. According to Bernstein, HRW was initially created to recognize open & democratic societies and acknowledge their ability to correct their own faults and abuses through established democratic institutions. But HRW now may have lost its moral force throughout the world such that its credibility and global significance have been seriously eroded. This has been brought about by HRW's persistent focus on condemnation of selected States (e.g. Israel and the Philippines under Duterte) and publishing reports lacking in credibility. It would appear that HRW is so concerned about alleged EJKs in the Philippines that it refuses to recognize the wider societal context in which such events take place. It fails to acknowledge the seriousness of the crimes committed by the other parties (e.g. drug users and dealers) toward innocent civilians whose rights have also been violated. As in their previous reports, HRW employs "distorted legal rhetorics," frequently brandishes violations of international human rights and humanitarian law, collective punishments, promotion of the culture of impunity, lobbying the United Nations and other international bodies and threatening sovereign nations and their leaders of cases before the International Criminal Court (ICC). It conveniently disseminate and publish reports with false, distorted and unverifiable data and uses them in their court cases. Human Rights Watch (HRW) cannot be viewed as a credible source of information and should not be relied upon without undertaking independent verification of its claims.” This was contained in the letter addressed to UN Secretary-General Ban Ki-Moon written by Anne Herzberg, Legal Advisor of NGO Monitor, referring to the “outrageous campaign” by HRW to influence the preparation of the UN Report on Children and Armed Conflict in 2015. 1. HRW does not adhere to a consistent or rigorous research methodology in its publications. 2. HRW frequently misreports the facts in armed conflict situations and applies false or inconsistent legal definitions. 3. HRW possesses limited military knowledge and or expertise, contributing greatly to the factual and legal errors in its reporting. 4. HRW’s staffing, particularly as it relates to Israel, involves intense bias, personal animus and even anti-Semitism. 5. HRW has campaigned on behalf of several highly abusive regimes. Most notable among these failures was the refusal of HRW to adhere to a consistent and rigorous research methodology in its publication. Similarly, in my previous analysis of the HRW Report on Duterte’s War on Drugs, I already pointed out the crucial methodological errors as well as its inconsistency with the accepted standards for human rights documentation as described by Karyn Kaplan in Human Rights Documentation and Advocacy in 2009. This is a guide for organization of people who use drugs which very clearly stated that the investigating body must clarify its objective in order to design the process that can be used to conduct the investigation on rights violations committed against drug users. 1. What are the issues to investigate? 2. For what reason are they documenting abuses? 3. What are the strategies to use in the investigation? 4. What are the support and resources needed? 7. What do they wish to achieve as a result of the investigation? It is important to develop a methodology of investigation to ensure that necessary information can be obtained. According to Kaplan, the chosen method will vary according to concept and goals but must be flexible and adapted according to circumstances or conditions in the place where the investigation is being conducted. 3. SPECIFICITY - the more detail contained in the results of the investigation, the more useful and compelling they may be. It is better to collect more info and evaluate later the level of detail necessary to report for testimonies. Other crucial defects of HRW reports include its non-adherence to the Lund-London Guidelines on International Human Rights Fact-Finding Visits and Reports by Non-Governmental Organizations developed by the International Bar Association’s Human Rights Institute and the Raoul Wallenberg Institute. The guidelines were drafted after consultations and analysis of human rights fact-finding reports. It aims to ensure good practices in the conduct of fact-finding visits, data-gathering and reporting. HRW Reports lack the terms of reference, a clear agenda, selection procedure for team members, a detailed description of on-site methodology, distinction between direct evidence and inferences from direct evidence, and an almost exclusive reliance on claims of parties with conflicts of interest and non-independent interviews and witnesses. These deficiencies are also very much evident in their report on Duterte’s War on Drugs. Social Justice and Human Rights is enshrined in our 1987 Constitution under Article XIII. The global human rights movement started almost fifty years ago and therein emerged the concept of rights-based development that “holds a universal set of standards, located in international human rights law, that are applicable in all countries throughout the world.” However, a more thorough analysis would make one realize that not all countries will have the same acceptance of policies deemed appropriate for achieving peace or economic growth. Also, attitude towards human rights varies and is socially and culturally specific. 1. At the onset, the HRW titled its report: “License to Kill: Philippine Police Killings in Duterte’s Drug War,” which preconditions the readers to the illegality of the situation. 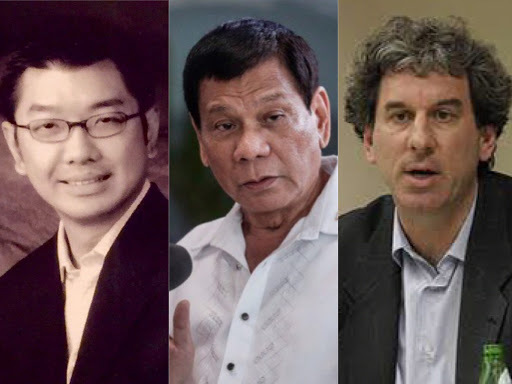 Immediately on the first statement of the report, it concluded “Duterte, Senior Officials Behind Evident Crimes Against Humanity.” Judgment has been rendered at the onset. 2. The introduction summarizes a particular incident which occurred on October 14, 2016 when a drug suspect named Paquito Mejos was killed by four masked gunmen in his house in Manila. It was detailed how after the gunmen killed Mejos, police investigators arrived and they were “assisted by the gunmen.” Police report, however, indicates that Mejos “pointed his gun at the police but the latter was able to shoot him first hitting him on the body causing his instantaneous death.” Right away, there are 2 conflicting details in this case, because there are 2 sources of information, the relatives and the police report. Relatives claiming there were four masked gunmen who eventually escorted the police investigators when the latter arrived on the scene, and the police claiming in their report that Mejos engaged them in a shootout. Obviously in this case, the HRW Report gave credence to the relatives’ version of the story. 3. The Report’s introduction further emphasized that immediately after President Duterte’s inauguration in June 2016, PNP Officers and unidentified “vigilantes” have killed over 7,000 people and that the President and his senior officials are therefore implicated in “possible incitement to violence, instigation of murder and in command responsibility for crimes against humanity.” The 7,000 figure has always been disputed and I will provide further explanation on this in subsequent paragraph. 4. The Report is interspersed with direct quotes from the President (e.g. “I will kill you, I will kill you, I will take the law into my own hands … forget about the laws of men, forget about the laws of international law whatever,” “my order is shoot to kill you, I don’t care about human rights, you better believe me,” etc.). These direct quotes formed the basis of most of the Report’s conclusions despite being bereft of the proper cultural and situational context and dynamics. major implications from a small sample size. 3. Aljon Mesa, 23 and his brother Danilo Mesa 34 years old from Navotas, Manila. Aljon was in a friend’s house along with known drug dealer, Jimboy Bolasa on September 20, 2016 when 6 armed masked men entered the house and took Aljon and Jimboy. Their bodies were found hours later but witnesses claimed that the masked men were seen coordinating with the police immediately after the bodies were discovered. Police report however indicated that the incident was “Found Bodies,” after a concerned citizen informed the police about the presence of the bodies. den with known dealers when they were picked up by 10 police officers on September 26. They were brought to the local barangay office where the drug dealers were able to bribe the police and were set free, leaving Danilo in their custody. However, few hours later, a group of armed masked men took Danilo from the barangay office and eventually, his body was found few hours later, shot execution- style through the mouth. The brothers were killed 6 days apart. 4. Oliver dela Cruz, from Ildefonso, Bulacan killed July 1, 2016, another confirmed drug dealer based on the wife’s narration. He was also killed by masked gunmen at a neighbor’s house allegedly “while police were nearby.” However, witnesses claim that one of the gunmen was hired by a former high-ranking police official. The source of this information was not mentioned. In this particular narrative, a man was shown being interviewed confessing that he was the gunman who killed Oliver dela Cruz as well as two other dealers named Zaldy Gatchalian and Ronald Obien. 5. Edwin Ronda from Sta. Rosa, Laguna, apparently killed during a buy-bust operation after he drew his gun on police officers. The Report however, claims that this is inconsistent with witness accounts. Another detail of this incident worth mentioning is that the Report dated the killing June 8 (no year mentioned), Duterte was inaugurated June 30, 2016, the HRW Report was released March 2017. 6. Ogie Sumangue of Binondo, Manila killed July 3. Again, police report claimed the incident occurred during a buy-bust operation. A .45 caliber handgun was found next to his body which was shown to his relatives immediately after the shooting. However, relatives insisted Sumangue did not own a gun and therefore it was planted. 7. Renato Badando of Santa Maria, Manila killed July 7. The incident occurred during an anti-drug operation in their neighborhood. Badando was picked-up by armed and masked men 30 minutes after the police operation. .45 caliber gun, packets of shabu and money were found on the body. Relatives disputed the police account claiming Badando was taken from their house awaken from his sleep and half-naked and it would not be possible for him to carry the gun and packets of shabu. 8. Edward Sentorias of Tondo, Manila, killed July 8. Both Edward and his live-in partner were shabu users. They live in a house owned by the latter’s parents who are in jail for drug-dealing. Allegedly, police officers came to their house to question them but ended up in a shootout after Sentorias pulled a .38 caliber revolver and pointed at the police. Relatives again disputed this and claimed he was not armed and that they witnessed a police officer planting a gun and sachets of shabu on the victim after the shootout. 9. Henry Francisco of Valenzuela, Manila, killed July 20. Relatives admitted Francisco was a drug dealer. He was caught in June 2015 for dealing but avoided prosecution after bribing the police with Php 10,000. In June 2016, he surrendered to the police but refused to identify the name of his supplier because he was having an affair with her (the supplier) and he wanted to protect her. He was eventually released but remained as the number one suspect in the police drug list. On the night of July 20, during a buy-bust operation, a group of policemen entered Francisco’s house and gunshots were heard immediately after. Apparently, an undercover police killed him after Francisco opened fire on them. Again, relatives disputed the police account. 10. Napoleon Miras of Bocaue, Bulacan killed July 24. His live-in partner was a drug-dealer and he assists during her deliveries but eventually became a user and dealer himself. On July 24, police followed Miras’ partner who just came home after purchasing shabu from her dealer. Police report indicated that it was a buy-bust operation which ended in a shootout after Miras initiated the gunfight with the police. A .38 revolver with live ammunition and one spent shell, 4 grams of shabu and 2 marked 100 peso bills were found on Miras. Relatives disputed this account claiming Miras did not sell drugs to the police, he did not own a gun and he did not initiate the gunfight. 11. Aaron Joseph Paular of Sta. Mesa, Manila, killed August 3. Police report claims this was a buy-bust operation. An officer was buying shabu from Paular (entrapment) but when the latter sensed that he was being entrapped, he pulled out his gun and shot the officer (who was wearing a bullet proof vest) on the chest and then fled the scene. He was eventually caught before he was able to take a baby hostage in a nearby shanty. Shootout occurred and he was eventually killed. Relatives again contested this account. 13. Noel Alberto, Sarah of Navotas, killed September 10. Along with seven other people, Noel and Sarah were taken by armed masked men while attending a party. The two were found the next day at the Navotas Public Cemetery with their heads wrapped in packing tape. which is similar to previous operations by undercover police. 14. Rogie Sebastian of Binondo, Manila, killed September 19. Lives with his wife and 2 children in a house owned by a drug dealer. Police report identified this incident as a buy-bust operation/entrapment. Acknowledged that police officers were responsible for the shootout after Sebastian pulled out a .38 revolver and fired 2 shots at one of the police officers. 15. Renaldo Agrigado, Raffy Sardido, Roldan Amora of Binondo, Manila, killed September 27. Ronaldo was a drug user while his son Reygie Agrigado is a known drug dealer. Both surrendered to the police in July 2016 after Duterte took office. Renaldo was released and told to report to the Baragay Chairman every two weeks while his son was jailed for being a dealer. In the evening of September 27, police conducted one of the biggest drug raids in Binondo and around 100 people were taken for screening. According to relatives, Renaldo was awakn from his sleep when “armed men dressed in civilian clothes’ who were later identified in police report as undercover officers entered his house and ordered his other relatives to get out. Relatives and neighbors narrated that they could hear Renaldo screaming and begging for his life while the gunmen were inflicting harm on him. Then gunshots were heard and eventually relatives were shown two bodies recovered from the house, that of Renaldo and another known drug dealer Raffy Sardido. The family of Renaldo claims that Sardido was not in their house when the armed men came, and they insisted Sardido was brought in by the police during the raid. Meanwhile, the police report gave a different version of the event. Police claimed it was a buy-bust operation but when Agrigado was about to complete the deal with the undercover police, a bystander shouted that it was an entrapment. Agrigado immediately fled to a nearby shanty where”four male suspects were having a pot session.” During the police search of the shanty, Agrigado and Sardido fired at them and a shootout followed eventually killing the two. Relatives, however, disputed this account claiming that Agrigado did not own a gun and was just sleeping inside their house when the police arrived. 16. Virgilio Mirano of Navotas, Manila killed September 27. According to his relatives, he was only an occasional shabu user. On the morning of September 27, Mirano received a letter from Barangay officials ordering him to surrender on March 30 at the municipal grounds for a mass surrender ceremony. In the afternoon of the same day, he left his house to buy coffee but as soon as he returned, four armed masked men entered the house and dragged him outside and brought to an alley. His relatives claim they heard him begging for his life but was eventually shot six times. It was also claimed that there was a checkpoint nearby manned by a uniformed police and as soon as Mirano was killed, one of the gunmen was seen giving thumbs-up to the police. Meanwhile, the police report gave a very different account. The police were conducting an anti-drug operation in the neighborhood when they spotted two men “acting suspiciously.” As they approached them, the two drew their firearms and while fleeing, fired at the approaching policemen hitting officer Ryan Mones on the left leg. The exchange of gunshots resulted to the death of Mirano while the other person managed to escape. Relatives disputed this account claiming Mirano did not even own a gun. 17. Jury Jana of Caloocan killed October 4. During an anti-drug operation in their neighborhood, about 20 men, some uniformed policemen while others were in civilian clothes entered the area and Jana was approached and asked if he was Jury Jana but he denied. However, an alleged informant who was with the police during the operation confirmed his identity. Jana’s family claimed that according to their neighbors, Jana was handcuffed and taken to his room where he was apparently beaten and was heard begging for his life. After a few minutes, gunshots were heard and Jana was later found dead. Police claimed Jana fired at them with his .38 caliber revolver although relatives denied claiming he did not even know how to fire a gun. 18. Benjamin Visda of Tondo, Manila killed October 4. Visda was a known drug user who was allegedly taken by armed masked men accompanied by Barangay officials and brought to a nearby police station. He was later seen dead at the station with hands cuffed. However, the police report claims the incident was a “shoot-out/armed encounter,” when Visda attempted to grab the service firearm of the arresting police officer and fired at him. In an attempt to safeguard innocent people in the area, the other policemen shot Visda to neutralize him. He was later brought to Gat Andres Bonifacio Memorial Medical center where he was eventually pronounced dead on arrival. 19. Paquito Mejos of Navotas, Manila killed October 14. Mejos was a user but denied drug dealing and was in the neighborhood watch list of users and dealers. He was ordered to surrender at the Barangay hall on October 7 but was only attended to and processed (photographed and fingerprinted) on October 10. On October 14, four armed masked men riding on 2 motorcycles entered the house of Mejos. According to a relative, the gunmen were looking for Mejos, they went to the second floor of the house, drawing their guns as they went upstairs. Soon after, 2 gunshots were heard and Mejos’ body was later found dead. Police claim they found a handgun and a sachet of shabu on Mejos. Relatives denied this, insisting Mejos never had a gun and has no shabu with him that day. Police report meanwhile stated that they were about to serve an arrest warrant on another person in the neighborhood when they spotted Mejos. Upon seeing them approaching, Mejos “suddenly drew his gun and ran.” While fleeing to the second floor of his house, he pointed the gun at the police who managed to shoot him first. 20. Jerome Bayutas of Sta. Mesa, Manila killed October 18. Bayutas was a shabu user while his wife Catherine Fernandez is an alleged drug dealer. In the afternoon of October 18, five armed masked men entered their house. A neighbor claimed the men were police who came to arrest Catherine who was brought out of the house with their two children. The men went back inside the house and minutes later, gunshots were heard and Jerome’s body was eventually brought out of the house, covered with blanket and the gunmen left before the police investigators arrived. Police claimed they found a .38 revolver and packets of shabu from the house. However, a relative denied Jerome owned a gun. 21. Norberto Maderal, George Avanceña of Navotas, Manila killed October 19. A relative claimed he heard Maderal entered the house at around 1:30 pm. Few minutes later, he heard a commotion and saw three armed masked men inside the house and two other men standing guard outside the house. The relative was asked to get back inside his room. He narrated that he heard Norberto pleading for his life until he heard two gunshots. Few more minutes later, he opened the door and found Norberto on the floor with a .38 caliber pistol and a packet of shabu near his body. He denied Norberto owned a gun and insisted it was planted by the gunmen. Uniformed police arrived a few minutes later followed by another police officer in civilian clothes and baseball cap. Soon after, two more shots were heard and eventually, George Avanceña was killed. Avanceña apparently arrived in the house with Maderal but was not seen by the relative until this time. Police report indicated that this was a buy-bust operation and when the suspects realized they were dealing with police officers, they immediately drew their firearms and pointed at the operatives. 22. Unidentified person from Malate, Manila killed January 14. This incident took place between a police and an unidentified person. Police report claims that officers manning a checkpoint nearby received a call about armed men riding in tandem near their station. When they proceeded to the area, the armed man fired at them prompting them to fire back. However, witnesses reported a different account when interviewed by Human Rights Watch. Witnesses claim the man was beaten before he was killed and there was no gun beside the body when eyewitnesses first arrived at the scene. The gun was only noted after several other police officers arrived. 1. The HRW Report mentioned 7,000 killings and noted that “the 24 incidents are not a scientific sampling of those killings.” Because there are “shared similarities with the vast majority of the cases reported in the media,” they did not find it necessary to include a more representative number of cases. 2. The report classified all of the 24 incidents with 32 deaths as EJKs with very insufficient basis. Relying mostly on accounts taken from interviews of victims’ relatives. In reporting the incidents, there were a lot of factual inaccuracies and selective narrative of events that evoke an emotional reaction favoring acceptance that a violation of rights has indeed occurred. In addition, the information derived from the highly emotional interviews is not verifiable. 3. Whenever discrepancies arise between narration of victims and the police, HRW would take the side of the victims. Hearsay evidence was not clearly differentiated from direct and documentary evidence. 4. The nature and dynamics of the encounters (conflict dynamics) were almost always disregarded. a. The Internal Affairs Service (IAS) of the Philippine National Police (PNP) has investigated 2,000 cases and found possible violations of 28 police officers who were already asked to submit their responses. And out of this number, two police officers are already facing murder charges. 6. Direct testimonies should be complemented with documentary evidence. Aside from police reports, other documents may include judicial cases, medical reports including photographs of “physical evidence such as blood stains and bruises.” In all the cases presented, police reports were rarely given weight in arriving at the conclusion. It is even doubtful if physical evidences were considered. In fact, Case #17, Jury Jana as confirmed by media reports was killed after he fired at the police during a sting operation, and yet the case has been classified as EJK. 7. Interview with government officials should have been conducted to get the official position, obtain more documentation not readily available in the field or to verify statistical data cited throughout the report. 8. Failure of HRW to identify the standard of proof employed to reach the conclusion that the information gathered from the interviews are credible and such that legal conclusions may be drawn from them. 9. The identity of the interviewers or members of the HRW delegation who conducted the study was not provided. Their expertise, experiences and other pertinent personal information should have been mentioned in the report to ensure transparency as well as objectivity in the conduct of the entire process. 1. The HRW Report itself concluded that there is no evidence thus far that Duterte planned or ordered specific EJKs. Some of the killings, particularly during the campaign period, appear to have been carried out in anticipation of a broad anti-drug campaign in which legal constraints would be lifted. But once in office, Duterte’s repeated calls for killings as part of his drug campaign could constitute acts instigating the crime of murder. In addition, Duterte’s statements that seek to encourage vigilantes among the general population to commit violence against suspected drug users would constitute incitement to violence. 2. With respect to possible crimes against humanity, the repeated calls by President Duterte encouraging the killing of alleged drug dealers and users is indicative of a government policy to attack a specific civilian population. 3. Towards the end of the report, it highlighted the statement from the prosecutor from the International Criminal Court (ICC) who warned Duterte in October 2016, that public statements that seem to condone such killings and further seem to encourage State forces and civilians alike to continue targeting these individuals with lethal force could fall under the jurisdiction of the ICC. Despite its own declaration, as quoted above, that there is no evidence that Duterte planned or ordered specific EJKs, HRW still insists on the President’s culpability by virtue of his pronouncements in various speaking engagements throughout the country. 1. The HRW Report “License to Kill: Philippine Police Killings in Duterte’s War on Drugs” lacks the methodological rigour that can support a valid conclusion. It contains inaccurate data and selective narratives with almost exclusive reliance on claims by relatives of victims or other witnesses with conflicts of interest. 2. Because of questions in the validity of data that can be derived from the HRW Report, it cannot and must not be used as legal basis to support allegation of violations of any international laws. 1. Ballesteros, A, et.al. The Work of Amnesty International and Human Rights Watch: Evidence from Colombia, February 2007. 2. Bernstein RL. “Rights Watchdog, Lost in the Mideast.” The New York Times, 19 October 2009. 3. Blitt, RC. Who Will Watch the Watchdogs? Human Rights Non-Governmental Organizations and the Case for Regulations, 5 February 2005. 4. 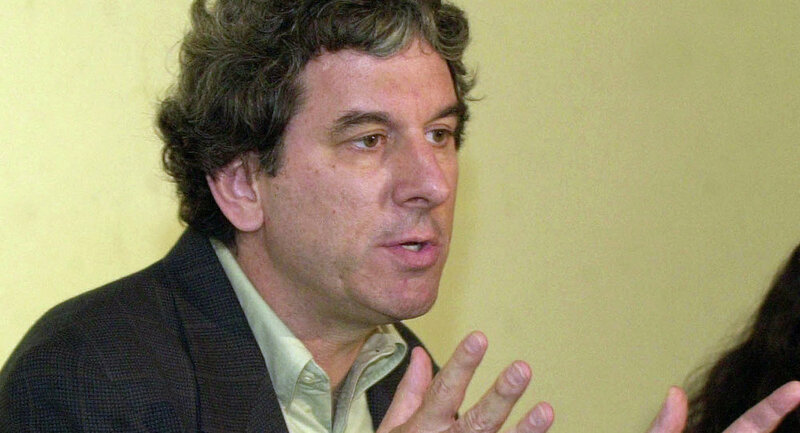 Foley, C. “Beware Human Rights Imperialism.” The Guardian, 23 June 2009. 5. Kaplan, K. Human Rights Documentation and Advocacy: A Guide for Organizations of People Who Use Drugs, 2009. 6. Kenzer, S. “End Human Rights Imperialism Now.” The Guardian, 31 December 2010. 7. Assessing the Effectiveness of National Human Rights Institutions. International Council on Human Rights Policy. Report of the Office of the United Nations High Commissioner for Human Rights, 2005. 8. Guidelines on International Human Rights Fact-Finding Visits and Reports by Non-Governmental Organizations (The Lund-London Guidelines), Raoul Wallenberg Institute of Human Rights and Humanitarian Law, 2009. 9. Human Rights Watch Report: License to Kill: Philippine Police Killings in Duterte’s War on Drugs. 2 March 2017. 11. Human Rights Watch Publication, Lacking Methodology and Credibility, Lays the Foundation for BDS. NGO Monitor. 12. Human Rights Watch’s Double Standards and Flawed methodology: Analysis of HRW’s 2014 World Report. NGO Monitor 2016. 13. NGO Monitor Letter to UN Sec-Gen Regarding 2015 Report on Children and Armed Conflict.